Civil society organizations face a wide range of online security threats that they are often ill equipped to defend. The lack of both resources and training leaves many organizations vulnerable to even basic Internet-based attacks. However, civil society organizations are being compromised by attackers using “0day” exploits – vulnerabilities for which there is no patch of “fix” available from the software vendor. Therefore, even if all the software a civil society organization is using is completely up-to-date it is still vulnerable. This results in a situation in which even organizations and individuals with reasonable levels of security are under threat. It is difficult to determine who is behind the attacks and there may be no intent to target civil society specifically. Perhaps using a human rights themed email in a social engineering attack might just be a convenient way to get peoples’ attention and compromise computer systems. Moreover, it remains unclear if the attackers were able to acquire 0day exploits before they became public, or if they simply quickly leveraged after they became publicly available and before there was a vendor supplied security patch. Therefore, in this post we explore cases in which there is a some form of relationship between 0day exploits and their use against civil society organizations in an effort to understand the effect of these attacks given the difficult nature of attribution. In this investigation we discovered that a well known site, 64tianwang.com, had been compromised and was propagating 0day exploits. Moreover, we found similar attacks specifically targeting the Tibetan community.1 The second case used the high profile case of Tibetan filmmaker Dhondup Wangchen as bait. These attacks were so successful that Reporters Without Borders unknowingly propagated a link to a malicious website posing as a Facebook petition to release Dhondup Wangchen. The attacks are effective; civil society organizations continue to propagate malicious links within their communities without realizing it. However, these reports do not focus on explicitly political attacks but integrate a variety of threats including fraud, acquiring gaming credentials and in general the theft of information. But the exploration of politically motivated malware attacks using 0day exploits is certainly nothing new. 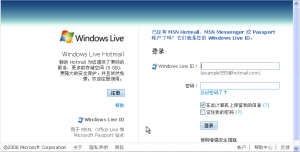 The file, a.htm, contains malicious code that attempts to exploit Microsoft DirectShow.17 Anyone visiting 64tianwang.com using Internet Explorer was likely compromised. 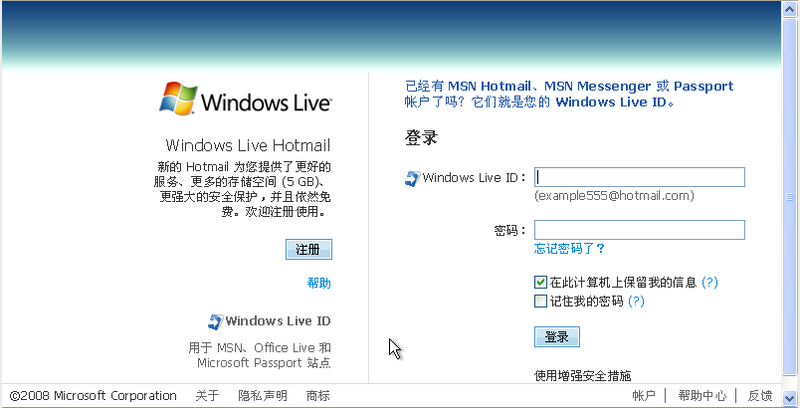 Our investigation discovered that rfsb.xicp.net (222.223.89.17) is also hosting some phishing pages posing at login screen for a variety of Chinese or Chinese language versions of email providers including: 126, 163, 21cn, Eyou, Hanmail, Hinet, Hotmail, QQ, Sina, Sohu, Tom, and Yahoo. “Phishing” is a terms that refers to the fraudulent use of legitimate looking website to entice a using in revealing sensitive information such as user names and passwords.20 In this case, the attacks appear to be particularly interested in compromising users on Chinese email providers. The attackers use script that directs the users to a server under the control of the attacker and then redirects the user to the legitimate mail provider. Interestingly, all the IP’s are in Hebei Province. Shortly thereafter, we were alerted to another malicious domain, dump.vicp.cc, which uses the same free domain service as rfsb.xicp.net. The malicious site, dump.vicp.cc, is also on the ISC SANS list of domains serving the Internet Explorer 0day exploit along with 64tianwang.com and rfsb.xicp.net. The email forwards an article from Reporters Without Borders (RSF) on the case of Tibetan documentary filmmaker Dhondup Wangchen. In addition to the RSF text, the email contains a link to a “Petition for the Release of Tibetan Filmmaker Dhondup Wangchen” hosted on Facebook which is sponsored by Students for a Free Tibet. However, the email also contains a link to hxxp://dump.vicp.cc/groups/articles.asp?n=3 which loads the real petition along with a malicious frame. Here is the the petition lauched by SFT. They have already collected 27,660 signatures. Please sign your name if you have not. > in a prison in Xining, the capital of Qinghai (a province adjoining Tibet). > that was shown to foreign journalists in Beijing during the Olympic Games. > He may be tried on charges of “separatism”. > signatures with the help of the Tibet Post (www.thetibetpost.com). > rescind his licence if he does not drop the case. Also hosted in this sites is another page (hxxp://dump.vicp.cc/cach/news.asp?n=1) that uses http://www.leavingfearbehind.com as the bait. This is the website for the film “Leaving Fear Behind.” Dhondup Wangchen is director of the film. In addition to loading the legitimate website, this link has another frame (hxxp://dump.vicp.cc/cach/error_01.htm) that loads the Microsoft Office Web Components 0day exploit. Our investigation found that a malicious link also using www.leavingfearbehind.com as bait was posted in the comment section of BoingBoing on a post about the Uighur crisis. RSF promptly removed the malicious link after being alerted. Our findings indicate that civil society organizations are compromised and used as vehicles to deliver 0day exploits to others (e.g. via malicious iframe inserted into a legitimate site). This means that (vulnerable) visitors to the site – many of whom may be staff and supporters of the specific organization – are likely to be compromised. We have noticed that the attackers have access to multiple 0day exploits and switch their attacks to leverage newer exploits as they become available. While it remains unclear if the attackers were able to acquire these exploits before they became public, the fact that they are able to leverage 0day exploits quickly suggests that the attackers are closely monitoring their operations and have the capacity to adapt when necessary. The attackers leverage human rights issues as the context for malware distribution in what are commonly called “social engineering” attacks. They will often send malicious emails to members, supporters and affiliates of civil society organizations. These emails are contextually relevant to the target organizations and contain a malicious attachment or link to a malicious site. The computer of the recipient will be compromised if he or she opens the attachment or visits the malicious website. These attacks are effective. While it is difficult to determine the rate of successful exploitation, we often discover compromised computers at civil society organizations. Moreover, some of these social engineering attacks are so successful that civil society organizations continue to propagate malicious links within their communities without realizing it. However, the murky questions of intent of the attackers as well responsibility for the attacks remain unclear. One could argue that the attacks are somewhat coincidental. The civil society organizations may just be running vulnerable software that was (automatically) exploited and used just like any other random target as a vehicle to propagate malware through the insertion of a malicious iframe. That is, there is no intent to target civil society specifically. Similarly, using a human rights themed email to in a social engineering attack might just be a convenient way to get peoples’ attention; it is not about targeting civil society per se, just that human rights is an appealing topic and people might more easily enticed to click on such a link. An alternative explanation is that attackers are intent on targeting civil society and are developing and/or have access to 0day exploits that they actively deploy. There have been consistent reports of attacks against civil society and we are noticing an increasing level of contextual relevance in these attacks. Malicious emails appear to come from email accounts with legitimate names and contact information that are known to the targets. The text of the emails contain less spelling and grammatical errors and exploit legitimate email and petition campaigns. The level of specificity and intentionality exceeds the threshold for a group of attackers that simply wants to infect as many hosts as possible. On the contrary, these attacks actually may limit the total number of hosts but provide the attackers with politically sensitive hosts. While we have no definitive answers concerning those behind these attacks, the result of using 0day exploits against civil society is that the exploitation rate is high. Moreover, the effect is that the community is being subjected to a form of intimidation and exploitation whether the attacks are intentional or not. The Information Warfare Monitor (www.infowar-monitor.net) is an advanced research activity tracking the emergence of cyberspace as a strategic domain. The IWM is public-private venture between two Canadian institutions: the Citizen Lab at the Munk Centre for International Studies, University of Toronto and The SecDev Group, an operational think tank based in a Ottawa (Canada). 1 To be clear, these attacks represent the use of malware by a wide variety of attackers and are not specifically linked to one another. They are included together as part of our analysis of the 0day threat that civil society organizations face. 16 The FCCC’s WordPress installation was compromised and malicious iframes were inserted which loaded hxxp://www.nontopworld.com/homepage.htm and hxxp//http://www.nontopworld.com/mainpage.htm. 26 The same page in the Google cache from a day earlier did not contain the malicious link.